Sayonara – After subscribing to a magazine for over thirty years, I’ve decided to call it quits. I love paper magazines better than digital. I love to support them but I have to draw a line in the sand. This particular magazine used to be larger and much, much thicker with wonderful articles. In the past few months they have changed the font. I have a hard time reading it. The words are as big as a sesame seed and more gray than black. That eliminates the older folks (who are their biggest paper customers). It’s not only that. The recipes give me no joy. They contain those ingredients that you buy for one dish and throw out five years later. I’m not a fan of the fashion section either. Clash and clutter. I’m a classic dresser preferring styles that are good for more than one season. Maybe I have aged out of this one but I will miss it (or at least the old version). More of the same – I’ve also noticed that trendy ingredients are popping up in cookbooks to the point where I’ve no interest in buying. When I can google a recipe on-line it takes a lot for me to buy a book. Especially if there are only one or two recipes I would make. What would Mom say – After thinking about that last comment I was reminded that my mother felt the same way back in the 1960’s. I remember she had an aversion to a stir-fry and considered soy sauce exotic. Yeah Mom, I hear you. It happens to us all. The other side to the story – If you read my post a couple of weeks ago about a fellow walker who was “dissed” from the “after walk” social group, I have a new piece of information. Many of us wondered why someone would purposely exclude her. I suspected it was because she talked too much, never listening or allowing someone to finish a story. As it turns out, she told one of the other walkers that his best friend (who has a repair shop) was a cheat and a liar. I don’t know why anyone would do that. If I’m asked for a reference I would express (kindly) my reservations but to trash someone’s best friend for no reason is not good. We reap what we sow. This entry was posted in Aging Gracefully, changes, Childhood memories, Fashion, Humor, Random Five, Tess Tales and tagged exotic ingredients, friends, magazines, Mom, Morgan, opinions, people, recipes, subscriptions by Kate Crimmins. Bookmark the permalink. Magazines has changed way too much. 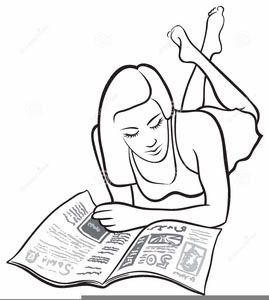 You used to take several session reading the articles even if you were a fast reader. It’s not just the editors/staff are younger, they aren’t used to writing at any depth and know a good part of their audience have the “new improved” shorter attention span (but you’d think most of those would read online and not in print. Maybe the magazines are only written for waiting rooms and Dr.’s offices now. Growing up it wasn’t dinner to dad if there wasn’t meat, 2 vegetables, a “starch” (potatoes and gravy mostly…corn was a veggie, and rice was ok once in a while…gag – that horrid “Spanish” tomato rice mom tried to feed us…she was the only one who liked it.) small salad and bread – preferably rolls. The meat was pretty much a weekly rotation routine. My dad was a meat, potato and gravy guy. My mother had to trick him to get him to try shrimp. She told him it was chicken (yes really). At the end of the day he loved it (and knew it wasn’t chicken) but this is one of our favorite family stories. As for magazines, I’m lucky if they occupy 10 minutes of my time. No depth at all. Even the short stories are super short. However, they have a lot of face cream advertisements. That’s pretty funny about your mom and stir fry/soy sauce! I got a good chuckle out of that. Now about magazines…I can’t quite decide what to do. I often don’t read them, or much of them, perhaps, but when I try to let them go they get offered at such a ridiculously low price that I again renew. I think I have a problem! LOL! That’s how I got suckered in too. Hard to say no to a really good deal. fishing and outdoor magazines are it for me. also, absolutely no new seasonings I can’t read or have never used. I stay in my box. I hate finding seasonings or jars of anything that I bought for one teaspoon of a recipe and never used again. Now I just move on to something else. When something doesn’t sound right, there’s always another side to the story. That spice thing holds true for alcoholic additions too. I wanted to make something that took a quarter cup of a liquor I never heard of. It was over $20 for the smallest bottle for a quarter cup in one recipe that I didn’t know for sure if I’d like. I passed it by. I don’t know how much that affected the recipe but it tasted just fine without it. Kate,I wonder if you’d consider telling the magazine exactly what you said here? They might even listen. I did a few years back. I never got a response. It also included a few topics (that I thought were fairly general) I’d like to see. Maybe I’ll do a letter to the editor on the fonts but it’s broader than that. The truth is that I may have aged out of it much like I did with Seventeen magazine back in the day. Funny you mention that. I also aged out of Seventeen long ago but have enjoyed looking at it recently when I find current issues in my library’s bookstore for a dime.😊 Sometimes a looong break helps and a magazine has changed or is interesting for different reasons at a later point. That said, the magazine of my dreams doesn’t exist so far as I know. I’ve given up most of my magazine subscriptions over the last few years (in fact, I have a half-written post about it… perhaps I should finish it) and haven’t really missed them. Then, I recently received a gift subscription to our city magazine when I became a member of our historical society. Now I have another subscription to cancel… it is pretty much an ad vehicle. So different from what it was years ago. Our local magazine is the same. My husband has been subscribing to support local talent but it’s overwhelmingly ads. We should be paid to read it. Long ago in my thirties I subscribed to Good Housekeeping and I looked forward to it. I especially enjoyed it during the holidays. I lost interest somewhere along the line. The Mama (CH’s Mom) got Food and Wine and she gave me her copies when she was through with them. I loved looking through them and just LOOKING at all the great food shots. I have a falling apart envelope of my Mom’s recipes all written in her handwriting. I am so glad to have them. I hope Morgan’s limping leg is behaving this morning! I love my mother’s recipes best. I got Bon Appetit for a few years. I did get some good recipes from there but not the fancy ones. Simple and easy for me. Morgan is back to her old 4-legged self. She milked it for treats as best she could while I was hoping that a sore paw wasn’t terminal. Kate, I gotta “Like” this because I have a bit of the hypochondria that I inherited from my Dad. Delighted she is off the critical list. I must be related to your Dad. I do a certain amount of cooking that might be a little exotic, but agree on the ingredients that have exactly one recipe they go in. Unless it is a favorite recipe, forget it. Sorry to hear one of your favorite magazines isn’t working for you anymore – it’s always sad to let go of something that you have enjoyed for a long time! Do you have others you read regularly? Most magazines are going the same way — smaller (perhaps to save on postage) overall with smaller fonts, less articles, more advertising. I still have 2 others I get as part of the deal but I doubt if I’ll renew any. Niche magazines serve a better purpose. For a while I got a cat magazine and I learned a lot from the articles on cat health and behavior. I’m not interested in fancy cooking and redecorating every other week anymore. I’ve given up all my magazine subscriptions. I still get the Sunday edition of the Seattle Times though. It sets Sunday apart from the rest of the week. But I’m thinking of stopping it. I hate wasting all that paper. I have a dozen or so cookbooks that I still use them for a few recipes, but I find myself checking the internet more and more often for recipes. I love Indian food, but it’s hard to have all the ingredients on hand and fresh. It never seems to be as good as in an Indian restaurant. I have the same problem with ginger. I don’t use enough and there is no real substitute. We get the daily newspaper and I swear that is one of our charities. Their Monday and Tuesday edition is frugal but I can keep up on the local activities. I would subscribe to a magazine…plan to read it…and somehow never really did. Then I would feel guilty about throwing them out. So, no more for me either. Morgan is ok. It must have been one of the things that healed itself. Yay! In the old days I could bury myself in a magazine as easily as a newspaper. Today the articles aren’t as plentiful or interesting. Maybe they are about topics I have no interest in like raising kids. I looked through the comments to see the magazine as I wondered if it was Good Housekeeping and it was. My mom and I used to subscribe to a lot of women’s-type magazines and I can still remember her saying that she had had Good Housekeeping since before she was married and after the subscription lapsed, no more renewals and my mom will be gone 9 years this week. Same as what you said. I let all our magazine subscriptions lapse as they all seemed to say the same thing and copy from one another. And, no offense to millennials, but it seems to me that everything must be written for or catered to this particular generation – I don’t understand that as I don’t remember the same attitude toward other generations. That’s because most magazine companies are staffed by millennials. We get the AARP magazine and I enjoy that. More targeted articles and overall better writing. That’s right – I get the AARP magazine too – their website is pretty comprehensive too. I’ve got a pile of them to get through … since the blogging picked up in late 2017, I’m behind in almost everything, but their stories, like The Reader’s Digest are often evergreen so any time to read them is good. We got The Reader’s Digest for years as well until they changed the format. People keep giving me magazine subscriptions, and I keep not reading them. The worst was a cooking magazine. It had all kinds of exotic foods and ingredients that I was not interested in. We stopped our newspaper delivery. I miss not knowing what is going on in the Asheville area, but I do not miss the political news at all. This has given me more time to blog, so there was a reward in it for me. I do all sorts of things to miss the news (except for the local). It’s so depressing for many reasons. The cooking magazine may have interested your grandson. I used to love them but I don’t cook like that. I like a nicely set table but I don’t go out of my way on that either. In fact, I’m thinking of downsizing some of my serving dishes as I don’t use them. Maybe Nathaniel would have liked the cooking magazine. I know we are not down-sizing anything in the kitchen yet! Nathaniel polishes silver, and he loves to set an elegant table. So far centerpieces have not caught his attention. Oh, yes! We don’t have many delicate items that should be washed by hand. Some we put in the dishwasher, anyway, reasoning that no one after us is likely to want them. Oh man, I absolutely hate recipes that use (often unnecessary) ingredients that you buy for one dish and never ever use again. I agree about using online recipes. 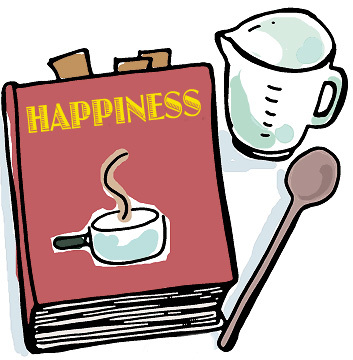 A cookbook has to be ultra-amazing for me to buy a copy. I have a collection of old cookbooks that I love. Some are old church cookbooks or other organizations. Those you know were tested recipes with no weird stuff. I hear you on the recipes that have ingredients I will never use for anything else. I am all about recipes that only have things I have in my cupboard already. But these days no one passes around those recipes. I had a ball last weekend digging through my mom’s recipes. So many handwritten things on envelopes and church bulletins and in letters. In our family we always rename the recipe for the person we got it from so it’s Pasty’s Carrot Casserole, Carrolly’s Vegetable Soup, etc. What’s nice about those recipes is she collected them after a meal was over – she knew they tasted great. Those are the best. When I want a good chocolate cake I always go to my mom’s recipe. Our family was the same with different ingredients! My parents were foodies so I grew up with ingredients that were new and unique. Soy sauce was a staple in our house at a time when many of our fellow townsfolk had never heard of it. I don’t go in for all the newer ingredients, but a good recipe can turn my head enough to get me to buy something different– once in a while. For the more exotic, I prefer to eat out. We have some good middle eastern places locally. I can make stir-fry but for Chinese we do mostly take out from a favorite. I bought Chinese 5-spice for a recipe I have about 5 years ago. Never made it so I can throw it out. I will make anything Italian or even Greek. I was raised on Austrian-Hungarian foods so I prefer those at home although we have a great Hungarian restaurant too. I was in high school before I had pizza. Plus they did have interesting stories throughout the magazine but sadly not anymore. It did used to be my favorite magazine . Oh that is really bad to trash someone’s friend like that in front of them! I understand now why she got the boot! I hope Morgan will be okay! Morgan is fine today. She was limping a little last night but before bed she was walking ok and today she’s back to as normal as she gets. My former mother-in-law used her microwave for bread storage. She never used it. If anyone wanted to use it they can to take out bread, week old bagels and stale cake first. Really? That’s funny. I love it. It wasn’t funny if you wanted to heat up your coffee! That’s kind of what happened to me but not on Amazon. I never use a credit card, preferring to send in a check (old school for sure). Once they get your credit card info, you have to on top of auto renewal. I felt the same way you did about the magazines. I’ve never heard of that magazine, Kate. It’s funny how magazines will keep mailing renewals and the price gets lower and lower. A couple of years ago, I got a year subscription of Reader’s Digest for $5. I’m not a fan of digital magazines, either. Happy Sunday! Even though I live in the north, I got that one for several years. It was one of the better ones. Better decorating ideas and better recipes. How is Morgan today? Hope the limp is history. I don’t subscribe to magazines any more ~ most seem more focused on advertising products (that I don’t need or want) than on entertaining readers. And most of the articles are fluff and nonsense. Morgan seems to be OK. No limp but maybe a very slight favoring (or she has a very neurotic owner that is fearful a sprain results in death). I used to love magazines and got all the fashion, decorating and home ones (think Good Housekeeping, Better Homes & Gardens, Glamour and even back in the day Seventeen!). I eliminated most decades ago keeping one or two. I dabbled with some food ones but gave those up years ago too. Way too exotic for my simple husband. Last year there was a deal and I got 4 different ones for $10 for the year. I subscribed but I find that often the same article is in them all or at least the same topic. Way more advertising with way less usable information. Sayonara baby. I used to like the decorating in Country Living. I never got that one. It’s hard to continue to hang on to things or people who have moved beyond our own world and principles. Sounds like you’ve had a couple of a-ha moments on both fronts. That seems to happen routinely. I hate to get too attached to anything as it seems to go away! My husband and I say we are the kiss of death. If we like a restaurant it will close for sure. We’ve aged out of the target audience for many things. My husband has the opposite cooking issue. He has to hunt for proper potsticker or egg roll wrappers, as well as certain spices or…wait for it…chicken feet! Though we have a diverse population, our local supermarket doesn’t seem to realize Los Angeles isn’t all white. Just a year or two ago, a Korean supermarket moved into the area. The Kroger-owned store began doing raffle tickets and giveaways in order to win back old customers. I’m not sure it’s working. But they are now carrying certain wrappers and tofu, at least. We have local Asian markets and most of our supermarkets carry the more standard fare like tofu and wrappers. We have a heavy Latino and Syrian population so you can get those items easily. Can’t say I’ve seen chicken feet except on my uncle’s farm. They keep moving my rice around. I’m a standard Carolina rice girl. Sometimes it’s in with the Latino food, sometimes with the Asian. It’s neither. LA has the markets, but Andy used to have to drive pretty far to get to them. Now he can get everything from miso to rice flour within walking distance. At 63 there are just sooo many things I don’t need anymore. Working on de-cluttering my life, not adding to the clutter. Prefer library or Kindle books, no magazines, only clothes I really need and will actually wear. I have a closet still of business clothes I haven’t worn in years…time for another culling, I think! Even though I was a bookseller for 25 years I rarely buy books anymore either. Trying to thin the book herd around here. It was out of control. About 5 years ago, we thinned the book herd. There were at least 20 boxes to donate to the library, many of them best sellers. we still have some books though. I kept favorites and some cookbooks. I should go through again as tastes change and so does my attitude. See what’s bringing joy these days.